For years, I bought hummus at my local grocery store. I went through it so fast, and knew I needed to quit being a baby and make my own. Not only did I save money, but it tastes SO much better from scratch. Here’s a recipe from the New School of Cooking. 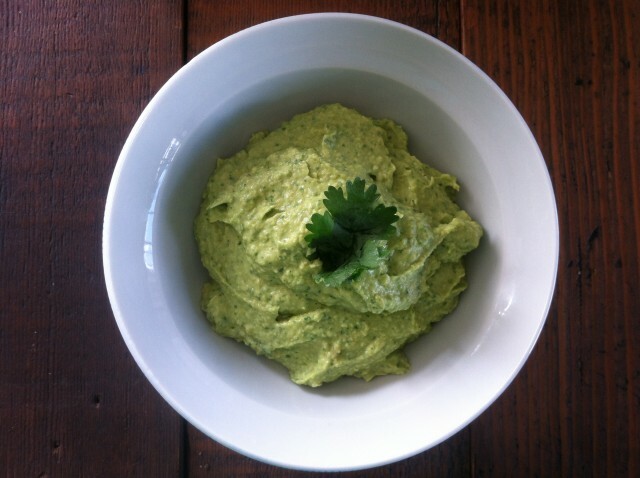 I love this one because I always have avocados and cilantro on hand, but you can use this as a base and play around with it. 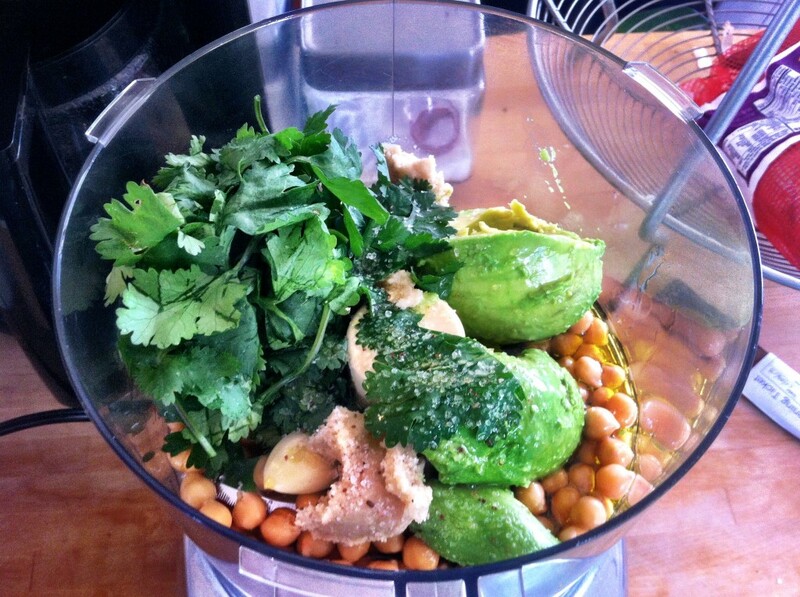 If you don’t have cilantro, try basil or parsley! 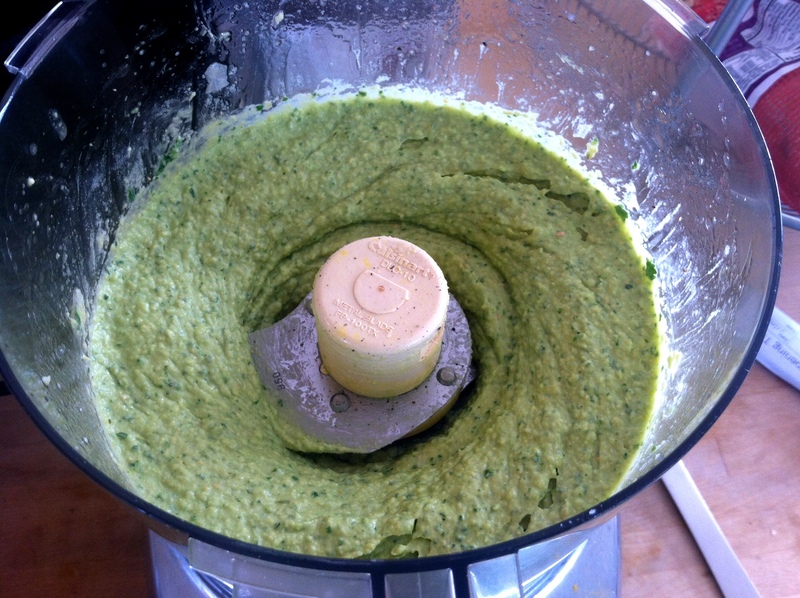 Put all ingredients in a food processor, fitted with blade. Whirl away until smooth. Season with salt and pepper. 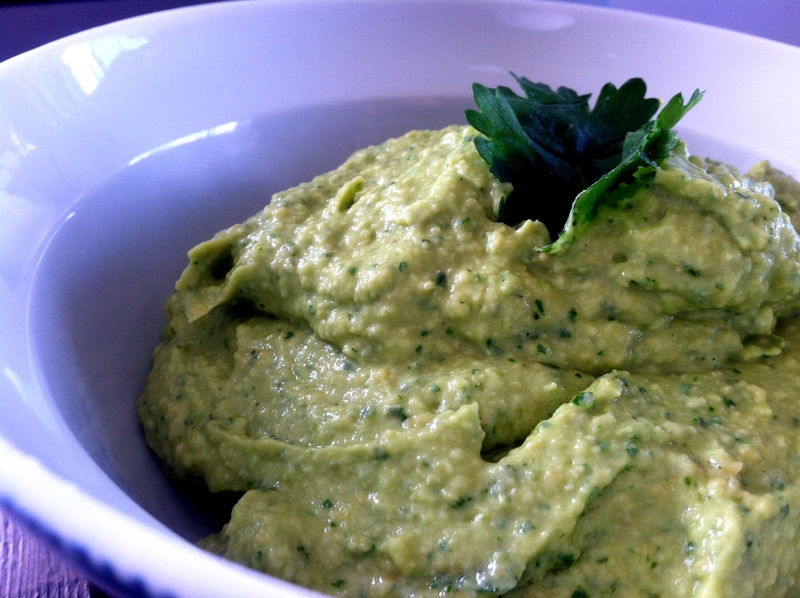 If you want to serve it the fancy way, top hummus with fresh sliced avocados, chopped cilantro, a drizzle of olive oil with toasted garlic and garbanzo beans. Or just be lazy like me and throw some cilantro on top! Serve with pita and crudite.